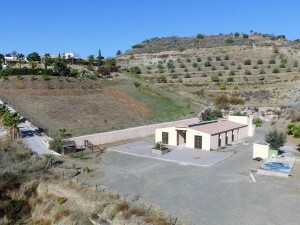 TWO HOUSES IN THE SAME PLOT WITH PANORAMIC VIEWS!! 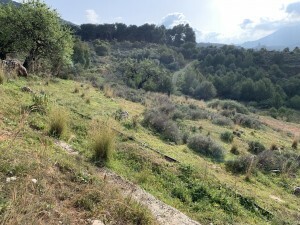 Property located in residential area in Churriana village vicinity of Malaga town and close to all services. Ground floor: entrance porch. Hall, cloakroom, equipped kitchen with dining table and pantry, living room with fireplace and access to the terrace. Upstairs: 3 bedrooms and a bathroom. 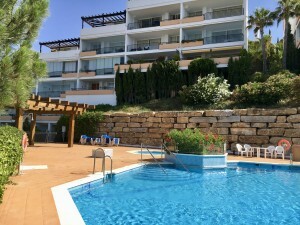 2 bedrooms with access to the sunny terrace with panoramic views of Malaga and the sea. Basement: large room created a recreation room with a fireplace and a bar. There is also a bathroom with shower. Direct access to the garden. Outside: Ample parking with automatic gate, laundry, stables area with 2 large storages and a second entrance gate for the horses. Barbecue and garden. 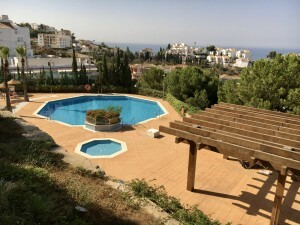 Plot 1.274m2. Total area 392m2. Living area 250m2. 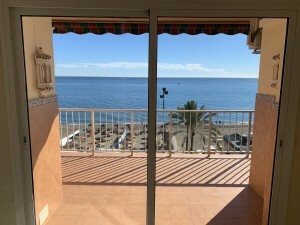 Porch 11m2. Warehouse 132m2. IBI 350,48? per year. No community fees. Both houses have a separate water and electricity meters so could be seperated.